When Alyssa mentioned she needed a book to bring on her beach vacation, I knew exactly what to recommend. 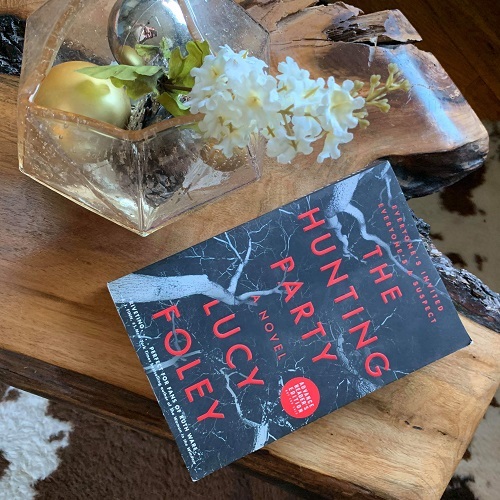 Sure, the setting in The Hunting Party is about as far from the Caribbean as you can get, but the story is so captivating it doesn’t even matter. If you’re looking for a story that you can binge-read while lounging by a pool, you should definitely consider this one. Don’t believe me? Then read on to see what Alyssa thought! 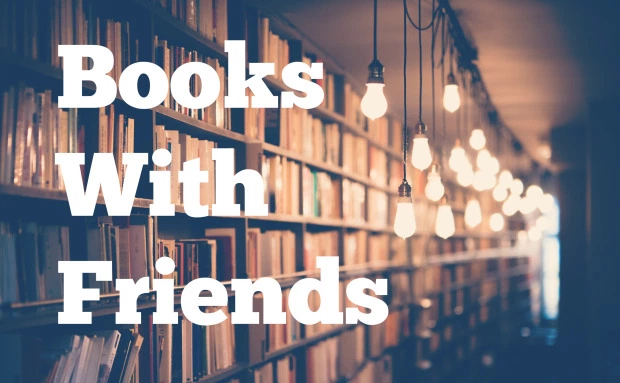 What about the book made you want to read it? I am SO into anything crime and/or thriller related, and I particularly enjoy supporting works by women when possible. I have really enjoyed Ruth Ware’s books, and now that I’ve finished hers I was excited to try out a new author who seemed to have a similar writing style. I saw you post about The Hunting Party on Instagram and it seemed right up my ally! Actually though, some people listen to music while they work, but I listen to a concerning about of crime podcasts, so it’s only natural that this slightly concerning interest would carry over into books. Whenever I read a thriller I always find myself making quick judgement about which character could be guilty. Did you do this at all while reading this book? If so, who was your prime suspect? Oh my gosh, SAME! I flip-flopped between Kate and Mark, but I feel like they were perhaps too obvious? This is my issue: I always think it’s the obvious person, and then I think, what if that’s what the author intended? They want me to think the obvious person is too obvious to be the actual suspect and then at the end, I’m in shock when it turns out to be the obvious choice! That wasn’t the case here though, this one had me shook. The book relies a lot on its setting: a hunting lodge in snowy, northern woods. I read this book during a very snowy weekend, and it was incredibly atmospheric, but you read this book on a beach vacation! What was your experience like reading this book while vacationing in Mexico? It was definitely a little bit difficult to stay focused and feel engulfed in each character within the setting with the sun beating down on me, and a Corona in hand. I did find that as the days progressed my environment influenced the way I was absorbing the material less and less, so eventually I did feel really immersed in the book. Alyssa also took this stunning photo of The Hunting Party! If you’re interested in upping your social media game with photos like this, check out The Social Factory! The story has one over-arching plot, with a couple of sub-plots throughout it as well. Without giving too much away, did you think all of the plot lines worked well together, or added too much additional detail to the story? I think the sub-plots were necessary in order to keep the reader guessing and second-guessing about the prime suspect. There were several occasions I was convinced it was one specific character, but another plot would emerge and throw that assumption off. I think Lucy Foley did a good job of crafting these intricate plots that all tied into the overall plot in one way or another to keep readers on the edge of their seat. The Hunting Party has been compared to both Agatha Christie and Ruth Ware’s style of storytelling. Do you agree with this comparison? Why or why not? I definitely found there to be similarities between Lucy Foley and Ruth Ware. As I mentioned earlier, I’m a huge Ruth Ware fan, which is what drew me into this book in the first place. I did feel at some points that it was almost too similar, however. From the atmosphere this book takes place in, to the description of the house as a stage, and people in the woods being able to stare inside without the occupants ever knowing; it has a really remarkable resemblance to In a Dark, Dark Wood. I would recommend this book to anyone looking for an easy-to-read thriller that keeps you interested and engaged throughout. There are some twists and turns I didn’t anticipate, despite being the queen of trying to over-analyze and predict what may happen next. It’s not one of those thrillers that is over predictable, which I appreciated. The next book on my reading list is All The Missing Girls by Megan Miranda. It was one you suggested and I haven’t picked up yet! I’m excited to jump into it though! I’m also working my way through the Harry Potter series at an embarrassingly slow pace. I was more of a Lord of The Rings kid growing up and never read the Harry Potter series so I’m attempting to redeem myself now.